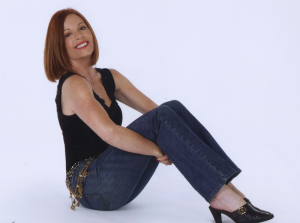 Sing Like a Star studio owner Tricia Grey, MM is an exceptionally qualified voice teacher with a Master’s Degree in Music and 30+ years of professional experience singing, writing songs, recording, teaching, and performing in the competitive music industry. She is the author of the book YOU can Sing like a Star! 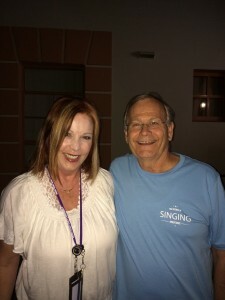 and the creator of the groundbreaking Eight Steps of Vocal Development method, a technique that enables vocalists to sing throughout a range of at least three (and often four or more) octaves with power, consistency, and flexibility. Her singers are known for their powerful, marketable, natural vocal quality. The Sing Like a Star vocal method develops vocalists who sing from very low to very high notes with one smooth, powerful and soulful sound. Her vocal method is the preferred training for today’s artists who want a contemporary and natural vocal quality. A native of Los Angeles where she taught voice and sang professionally before relocating to London, New York and then Atlanta, Tricia was the vocal coach for the MTV series “Made” and “Before the Fame”. Tricia’s performing career in Los Angeles included singing lead vocals in many top LA bands, as well as performing leading roles in Opera. Her unique synthesis of world-class education and real music business experience has resulted in an approach to voice teaching that is unparalleled. With her unbeatable track record as a professional singer in bands of all musical styles, a Master’s Degree in Music, students on Broadway, The Voice, American Idol, X-Factor and with record deals and admission to the most prestigious University music degree programs, her ongoing research and education in vocal science, and her astounding ability to diagnose and quickly correct vocal issues, Tricia Grey, MM is one of the music industry’s finest and most sought after vocal coaches. Besides training singers and teachers worldwide, Tricia is also a published songwriter. She teaches a fast and easy method of songwriting that will have you creating your own songs quickly, even if you have never played an instrument before! 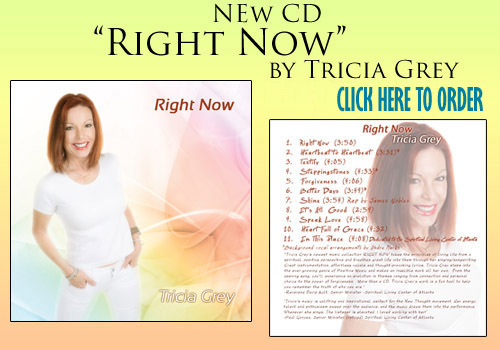 Tricia recently released her 10th CD, “Right Now” available for purchase at either of the SLaS Studio locations or at http://www.cdbaby.com/cd/triciagrey. Tricia was an integral part of the Speech Level Singing (SLS) organization, having begun teaching vocal lessons under the direction of Los Angeles vocal maestro Seth Riggs (teacher of Michael Jackson, Stevie Wonder, Ray Charles, Beyonce, and hundreds more stars) at the young age of 20. She reached the highest level (Level 5) in the Speech Level Singing organization, and subsequently wrote the Teacher Training Manual used to train SLS teachers throughout the world. She now trains teachers through her SLaS Associate Teacher Training program, and has written a Teacher Training manual for voice teachers. 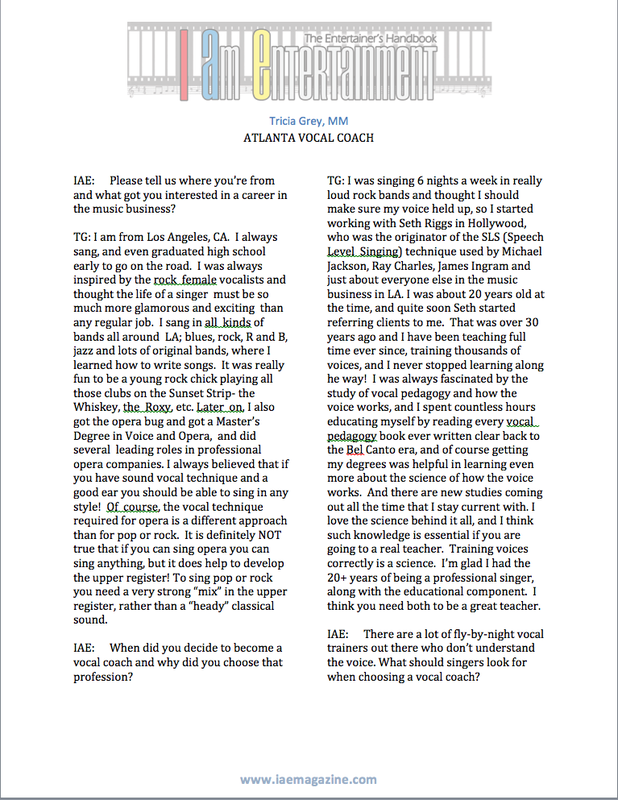 Dear Tricia: I can hardly imagine a vocal technique teacher more eminently qualified to teach singing than you. You’ve sung it all- Blues, Rock-n-Roll, R & B, Jazz, Opera, you- name-it. The common thread to accomplish all these vocal avenues is your intimate knowledge of how to bridge the registers from chest to head voice. Your students will be extremely blessed to have access to your rare experience. VOCAL POWER ACADEMY: From 1980- 1996 Tricia was an instructor at Elisabeth Howard’s Vocal Power Academy in Los Angeles, another shining light in the vocal music industry. Liz was a pioneer in the teaching of the mixed voice, and a huge influence on Tricia’s teaching, writing, and singing. IVTOM: Tricia is currently on the Board of IVTOM (The International Voice Teachers of Mix), an international teacher education group dedicated to the scientific study of the voice and the promotion of good vocal technique in contemporary singing. 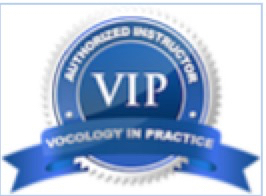 VIP: Tricia is a Vocology in Practice (VIP) member, an exclusive group whose members must demonstrate extensive knowledge of the science of vocal bridges and a high degree of demonstrated skill in the areas of Vocal Registration, Musicianship, Ethics, Artful Teaching, and Business. PAVA: Tricia is a member of PAVA, the Pan American Vocology association, dedicated to advancing the scientific study of voice in all countries of the Western hemisphere. PAVA is directed by the world’s most renowned vocal scientist, Dr Ingo Titze, Ph.D.
NATS: Tricia became a member of NATS, the National Association of Teachers of Singing, in 1980. Tricia says: “In voice lessons, we are re-training many small muscle groups through therapeutic vocal technique. The key to success is consistency and commitment to daily practice and weekly lessons. You can make huge changes in your voice in a short time by simply singing along every day with your most recent SLaS vocal lesson, which is recorded. We will give you life changing tools, but it’s up to you to create a daily practice routine that solidifies your new skills; this will bring about dramatic changes and improvements quickly. Tricia sings and teaches in all vocal styles- rock, R & B, gospel, blues, jazz, musical theatre, and country. She knows what it takes to succeed in today’s competitive music business. Whatever your background, skill level, age, or experience, Tricia Grey, MM and Sing Like a Star Studios are here to help you live your dream- to sing like a star! What age or event in your life made you decide to make music your life and career? I don’t ever remember NOT singing. I sang for show and tell. I sang for kids on the school bus. I made my 5 brothers and sisters learn all the parts to every song from “The Sound of Music” and rehearsed them for weeks. I opted to graduate high school early so I could go on the road with a band. I lived in LA and never really considered anything but music as an option. I sang in rock bands all over LA and the US for many years and then decided to go to school to get my music degrees, and I was teaching voice all along, from the age of 20. What lead you to become a vocal coach and open up Sing Like a Star? 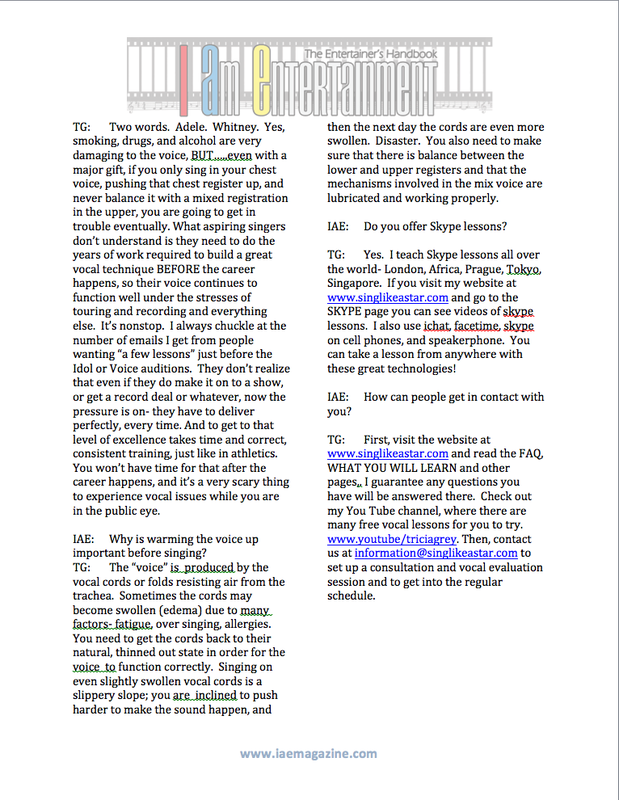 I studied with an LA guru named Seth Riggs (the “Teacher to the Stars” who originated the Speech Level Singing vocal technique) for several years and at the age of 20, he was sending me clients on a fairly consistent basis. I had never considered teaching before because I wanted to be the next Pat Benatar, but I started to see how teaching could balance out my life and make life in the music business less crazy! I have always had a love for and a desire to learn everything I could about vocal pedagogy- the science of how the voice works. I would be on a tour bus, poring over vocal pedagogy books, while everyone else was talking or sleeping. Over the years I have read hundreds of books on pedagogy and spent thousands of hours furthering my knowledge base about the science of the voice through ongoing interaction with some of the brightest lights and vocal scientists of this generation. I had a “duel life” for about 25 years in LA; voice teacher by day, and rock singer by night! Do you have a certain technique or teaching style that sets you apart from other vocal coaches? The Sing Like a Star vocal method is a healthy yet commercial approach to singing based on register balancing and mix that will enable singers to sing in commercial vocal styles with great high notes, power, and control. We create one seamless sound from the bottom of the range to the top with no vocal breaks. We teach singers how to sing well in the style they love to sing in, rather than the instructor’s favorite style. So we work with gospel, R & B, blues, rock, country, jazz, Contemporary Christian, musical theatre, and even classical artists. Many vocal “coaches” do not offer much in the way of a scientifically based approach to vocal development. They “coach” you on how to sing a song but do not know how to effectively develop a strong commercial vocal sound, so you end up singing the song with the same incorrectly produced voice you always had. Most singers will either pull their chest voice too high, and then “flip” or let go into a weaker, breathy sound, or they might be generally breathy and undeveloped throughout the voice, or they might come from a classical or choral background, where the upper voice (for females) is developed but the lower register is ignored. None of these methods really work for popular singing. You need a voice that is even and strong from the bottom to the very highest notes, not breathy and weak on the high notes.The singer needs to invest in vocal training and development first before spending a lot of time doing licks and runs. Even people who sing fairly well, find out when they get “in the trenches” of having to sing every night, that their voice will not hold up without a solid background in vocal technique. 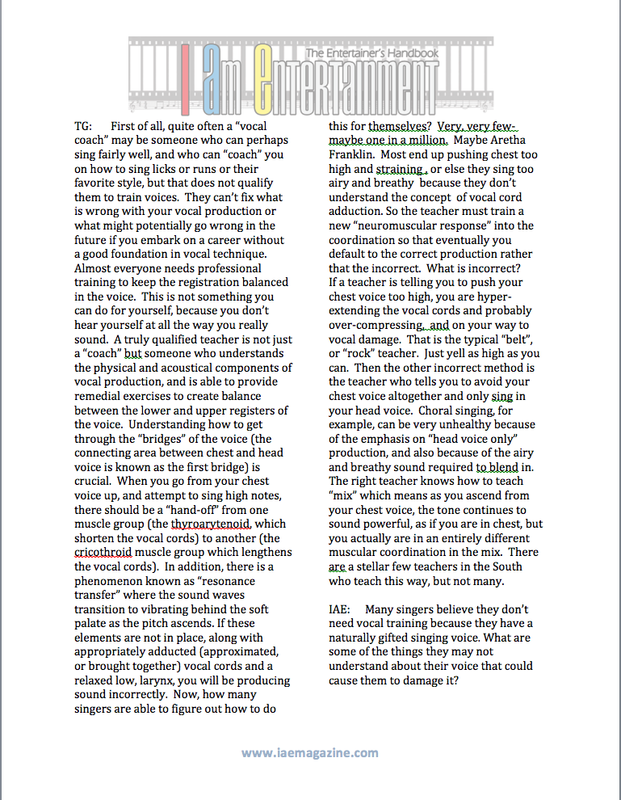 The most important aspect of the Sing Like a Star vocal method is the ability to “mix” into the upper registers by negotiating the bridges of the voice, with a commercial, strong, and sustainable vocal sound.The most important quality a singer needs to have is consistency- you need to be able to deliver perfectly, night after night. You need a lot of stamina. You don’t get that without a lot of training, just like an athlete! What was the first major production you were involved in and what age were you? How did it make you feel? I was singing in all kinds of bands in LA from a very early age. I felt like I was gonna be a rock star! I will say though that the lifestyle is very hard work and not at all the glamorous life most people think it is. Touring in a bus is grueling! I have always loved songwriting and being in the recording studio. You can completely forget about time and everything else in there. I find writing and recording to be one of life’s most fulfilling endeavors. I teach songwriting to all my students because it is something you can do for yourself, at any time. I also feel it’s a very important avenue to acceptance in the music business these days. Not a lot of people are getting signed unless they write well, as well as sing well. 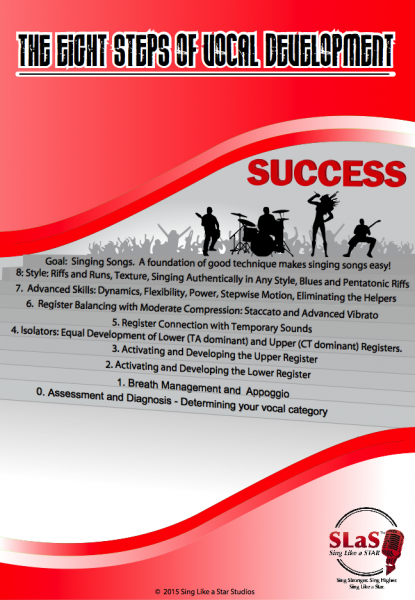 Why do aspiring and experienced singers need vocal training? Every one needs consistent vocal training and technique throughout the life of their career to keep the voice “tuned up”. It’s too easy to succumb to the temptations of over-singing, pushing chest, and other incorrect methods. Especially when you are fronting a band and trying to “out-sing electricity”, or singing over a large orchestra. Because we don’t hear ourselves as we really sound, we need an outside set of ears to keep us balanced. Just think of it as preventive medicine for the voice!The number of people who turn up at auditions for TV shows such as “The Voice” “X- Factor”, “American Idol” and so forth, will give you some clue as to how competitive this business is. I always try to tell students that getting on a show won’t do anything for you unless you have invested years of preparation before that so your voice holds up and is perfect every time you sing. Otherwise even if you get on the show you can prepare to be embarrassed in public when the voice does not hold up under the very rigorous schedule they will impose on you. Can you rehearse 5 or 6 hours straight, learning brand new songs and arrangements on the spot, and then go out and sing with a fresh sounding voice later that night? Can you do that day after day? Most people who get into a musical show for the first time are stunned by the huge amount of rehearsal and singing that is now required on a daily basis, and either they get sick or they start losing their voice. The same thing happens when you are in a band that finally makes it. Now you have to tour and sing every single night for weeks on end, after traveling all day. Will your voice hold up? Probably not, unless you have done the preparatory technique work on your voice.Good vocal technique and training and daily practice are the tools that ensure a long career! What do you look for when accepting new students? What should a perspective student prepare for and expect? Work ethic! And integrity. I require a minimum of 30 minutes per day of practice. I work only with clients who have integrity with time (theirs and mine), finance, and honoring agreements. They should know that this is a partnership and that their end of the deal is daily practice, as well as honoring time, our most valuable commodity these days! How important do you feel music is in a person’s life and what impact has it made on you? It’s been everything in my life! Music and developing your talent can take you to places and people you can’t even imagine when you are starting out. It did for me! It’s true what they say about “following your bliss”… it will take you places you never dreamed of. Put in the work, develop the instrument, and be prepared for an interesting ride!I also believe that music and singing are for everyone, not just aspiring stars. There is a niche for everyone who wants to sing, to use their gift. It may be singing in a church choir, writing and recording your own music that no one but friends and family will ever hear, or going to nursing homes to sing for the patients. OR it might be singing in huge arenas all over the world. Developing your voice and your talent is always a worthy investment, and it is never to late (or too early) to start!There is always a place for you as a singer. Once your talent is developed you will be amazed at the opportunities that will open up for you! Do you have a most memorable moment working with a student? I had a student in LA who was 10 years old when the first season of the TV show Starsearch came on. She won! It was huge! She is on my website on the Lessons For Children page. Just as memorable are the “breakthrough” and “aha” moments that I see every day in the studio, where students light up as they realize they CAN achieve a vocal skill they previously thought was impossible for them (like singing high notes!). What is your #1 tip or advice to new and experienced singers to help them in their journey? 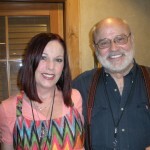 Develop a good work ethic and practice routine and work with a world class vocal teacher. Saving money and getting the cheapest instructor is never a good idea, its like going for the cheapest doctor or car mechanic.You “save a penny but lose many dollars” (when you have to go to someone else who can fix the bad instruction)- you get what you pay for! Your voice is irreplaceable, unlike a guitar or a car. Invest in the best instruction instead of the cheapest. Also avoid “vocal coaches” who only have you sing songs- you need to create a baseline of good vocal technique first. Focus on technique and developing your instrument before you worry about licks, runs, style, etc. Be patient, but expect good results (if you are studying the right technique that is). If you are not seeing results, find a better teacher. If your teacher does not encourage you in the style you want to sing in, find a better teacher. If you could sing or perform with one icon, dead or alive, who would it be? Though I have sung in and teach all styles, I have found the most challenging and fulfilling singing to be opera. After years of being a “rock chick” I went back to school for a Master’s in Voice and performed opera professionally for awhile. It requires the most range, power, dynamics, and emotion of any music I have ever sung. So I guess my dream job would be singing La Boheme (which I actually did perform in LA) with Pavarotti, Corelli, or Domingo, all very exciting tenors. Any of the Puccini or Verdi operas are so moving and exciting to perform!And right up there with opera are gospel and R & B styles. Gospel requires that you be able to sing with power and stamina, as well as precise trills and runs, with more “lower register” coordination sounds (ie- the chest voice quality). Gospel and R & B styles demand a really high level of vocal acuity, precision, and power to sing well. 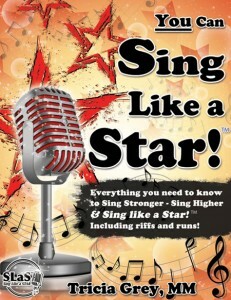 You have to be at the top of your game to sing these styles well, and since they are more chest voice or lower register coordination sounds, they are more demanding on the voice.At Sing Like a Star, we teach every vocal style and help you to be the best singer you can be, in the style YOU like to sing!